Today, coaching is not a regulated industry in any country. However, there are a few global organisations that regulates the ethical and professional standards for the coaching profession. The largest and most recognised coaching organisation is the International Coach Federation (ICF), which is headquartered in the USA. ICF have over 30,000 members located in over 140 countries. Founded in 1995, ICF seeks to advance the art, science and practice of professional coaching. To maintain the professional standard of a certified coach, ICF recommend all potential coaches to attend a coach-specific training that are approved by ICF. Our Certified Master Performance Coach (CMPC) program is one of the training courses approved by ICF. Upon completion of the coach-specific training, potential coaches will need to clock in additional coaching hours, prior to taking an online assessment administered by ICF Global. ICF has different levels of credential qualifications (see What are the different levels of ICF credentialing? below). The CMPC program is a 62-hours coach-specific training. It covers the 11 core coaching competencies that are outlined by ICF. Besides the competencies, it will also cover the mindset of a coach, the coaching frameworks, advanced tools and techniques and many more. The program is divided into 3 phases; namely Coaching Foundation (3 days classroom training), Advanced Coaching (4 days classroom training) and Final Assessment (1 day). More details of the program can be found on https://www.bpcoachtrain.com/coach-certification-training/. Are there any pre-requisites to attend the CMPC program? There are no pre-requisites required. As long as you have the interest and passion to coach others, you are most welcomed to join the program. Upon receiving the CMPC certificate, can I start coaching clients? Absolutely yes! The CMPC certificate is your endorsement to start coaching. Is this program targeted just for Executive/Leadership coaching? What about Life/Financial/Health/Career Coaching? Our coaching program is not targeted at any specific industry of coaching. The CMPC program provides the foundation of coaching. Upon completion of the program, you can coach in any areas that you feel most comfortable with or have the most passion in. We have graduates from all walks of life! Getting a coaching certification is not limited for professional coaches only. As more organisations become more aware about the value of coaching, they are building their own team of internal coaches besides hiring external coaches. When you are a certified coach, you not only build competency trust with your peers, you will also be able to coach at a much deeper level that will benefit your coachees. Many of our participants who are leaders in their organisation have gone on to be great leader/manager coach empowering their team to greater performance. Concurrently, they also realised when they coach others , they develop themselves in the process. In other words, “When we grow others, We grow ourselves”, that’s the benefit of coaching. Please refer to ICF Global website for other requirements. For purposes of credentialing, mentor coaching means an applicant being coached on their coaching skills rather than coaching on practice building, life balance, or other topics unrelated to the development of an applicant’s coaching skill. The participant must be coached for a minimum of 10 hours over a minimum of 3 months by a qualified Mentor Coach. Applicants may have more than one qualified Mentor Coach. The Mentor Coach needs to hold an ICF ACC, PCC or MCC credential. What are the benefits of getting an ICF credential? With an ICF Credential, coaches demonstrate not only knowledge and skill, but also a commitment to high professional standards and a strong code of ethics. Organisations around the world are increasingly more aware about coaching, and are looking for credentialed coaches. According to the 2012 ICF Global Coaching Study, credentialed coaches reported a higher-than-average income worldwide compared to non-credentialed-coaches. In the 2010 ICF Global Consumer Awareness Study, 84 percent of adult consumers who had experienced a coaching relationship reported that it was important for coaches to hold a credential. 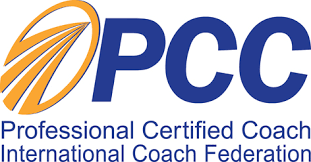 How do I get my ICF PCC (Professional Certified Coach) credential? More information are available at ICF PCC Credentialing website. As a self-sponsored participant, can I claim under Workfare Training Support WTS scheme? The Workfare Training Support, WTS encourages individuals to attend training to upgrade their work skills and improve their employability. Eligible individuals may receive up to 95% course subsidy and other training allowance. Please inform us at admin@bpcoachtrain.com if you have a WTS notification letter at the time of course registration. We would require a copy of your WTS notification letter to support your training claim. For more information about the Workfare Training Support scheme, please refer to SSG website. Will I get a course certificate at the end of the workshop? As this is a WSQ approved training, all participants who are assessed competent for the training will receive a Statement of Attainment (SOA) e-Certificate from SkillsFuture Singapore. Participants will receive notification via email and/or SMS to download e-Certs within two working days upon submission of results by the training organisation. The e-Certs will be available in the SkillsConnect account of the participants.